Nestled in the natural beauty of Scenic Route 6A is Crow Farm. The forty-acre farm is locally owned and is currently operated by three generations of Crowell's. 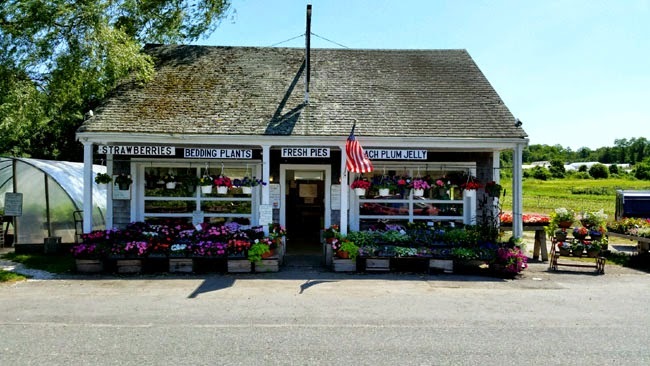 Since 1916, the farm has been growing and selling fruits, vegetables, flowers, bedding plants, hanging baskets, and herbs. Also available are local honey, jams and jellies, pies and fruit breads. It is such a treat to be able to purchase herbs for my garden in the early spring and seasonal fresh veggies as they are harvested throughout the growing season to use in our breakfast recipes. Their beautiful cucumbers are one of my favorite things, and I am really happy when I catch the freshly harvested strawberries and lettuce in the spring and early summer. And, their bunches of fresh basil are divinely fragrant. To see the variety of vegetables being grown and to learn what is being harvested at different times, you can check the harvest calendar on their website. The also have a page with wonderful recipes using their harvest. Crow Farm is one of the only farms on Cape Cod to grow their own apples, peaches, and sweet corn and provide them for sale to local visitors. They grow thirteen varieties of apples and Crow Farm Corn is a local favorite. 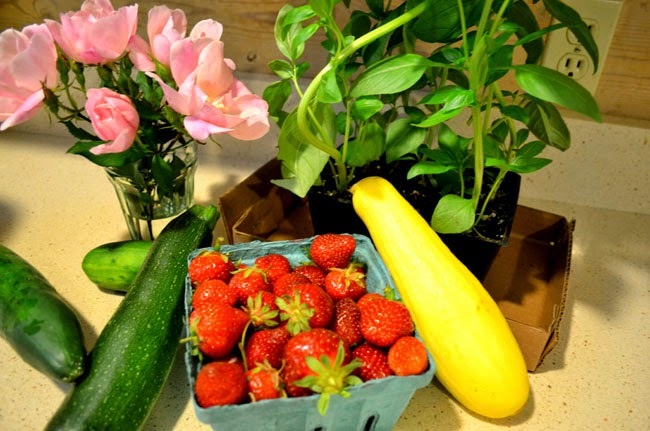 The farm stand is open from May until just before Christmas. In the early winter months, after all the beautiful summer and fall produce is done, beautiful Christmas wreathes and trees are available for the holidays. Pies, breads, local honey, and jams and jellies are also available and make wonderful gifts for the holidays and for holiday celebrations. This small farm may have had humble beginnings, but today it is a thriving and vital part of historic Sandwich Village. For residents, visiting the farm stand at Crow Farm is one of the great pleasures of living in small town America.